Hurley & Hurley, Inc. specializes in tax return preparation and tax audits for individuals, trainers, breeders, farms, and all types of businesses in the equine or horse industry. 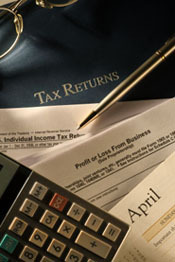 We have represented over 1,100 individuals in IRS taxaudits. Over 77% of these audits resulted in no additional taxes due! We offer full record keeping assistance, consulting, IRS, State and Sales Tax audit representation, and tax return filing for individuals, partnerships and corporations. With over 1,000 of our tax clients involved in the horse industry, more than 800 of them "MAIL" their tax information to our office. If you wish our office to do your tax return, complete our CLIENT INFORMATION SHEET. Just print the form and fax it to (714) 996-1582. We will then mail you an information package, along with the organizer, to assist you in getting your tax return completed. We can also electronically file your Federal Income Tax Return. Does your accountant discourage you from taking your horses as a tax deduction? Does your accountant tell you that your horses are "just a hobby"? Does your accountant understand your horse business? Does your accountant assist you in your horse business operation? Has your accountant fully explained the "hobby" vs "business" issue to you? 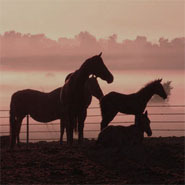 Do you need a qualified specialist to answer your horse income tax questions? If your answer to any of these questions is "yes", then you need to talk with our experienced tax professionals to determine if your horse activity is tax deductible. It's as easy as dialing our toll free number (800) 996-1040.